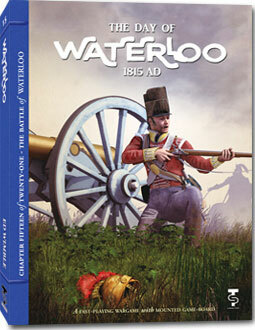 …But tactically, it was one of Napoleon’s worst efforts. After Napoleon’s return from Elba, he watched his peace efforts spurned and knew that four large armies would eventually invade France. In a precarious position at home as well, he elected to move quickly, hoping for a powerful spoiling attack against the two closest armies that would rally some of his former allies and, even better, encourage the “Seventh Coalition” to negotiate. 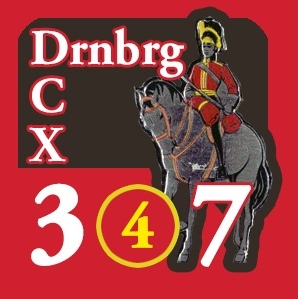 His movements with the Armée du Nord shocked both Wellington and Blucher and hinted at the old brilliance of mind. But when it came to the battles… it seemed the imagination was no longer there. Ligny was a bludgeoning match, Quatre Bras a lost opportunity and bad communications and staff work caused failure at both. Dispensing a third of his army to “chase Blücher” (without Grouchy managing to find him), he took the rest to deal with “the Sepoy General” that he at least pretended to disdain. Wellington expected a flanking attack (and 25% of his troops missed the actual battle in preparation for it). What he got was “a pounding match.” Though he had claimed his troops made up “an infamous army, very weak and ill-equipped, and a very inexperienced Staff,” they bore the brunt of the best Napoleon could throw at them for 8 hours and turned the tide. "I cannot get over our defeat. We were maneuvered like so many pumpkins." And yet, it served as the completely final end to over 20 years of near-constant warfare, in one of the few periods in Western history defined by a single person’s name, “The Napoleonic Era.” And may be the most written-about battle in history. 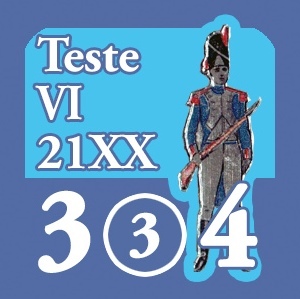 Ed Wimble has streamlined his well-loved “Armée du Nord” system to suit the TPS standards for game length and re-playability and focus solely on the 24 hours of June 18th, 1815. Leadership and morale are key, while tactical ability and artillery bombardment are both highlighted. It is, after all, a pounding match. 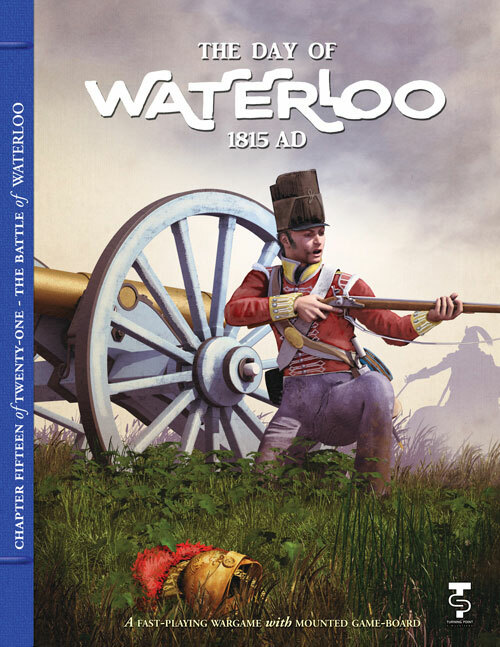 Ed gives us both basic and optional rules, with the opportunity to test some variables regarding smarter troop dispositions or operational planning, as well as giving the French the opportunity to begin the battle sooner (and deal with more severe mud). 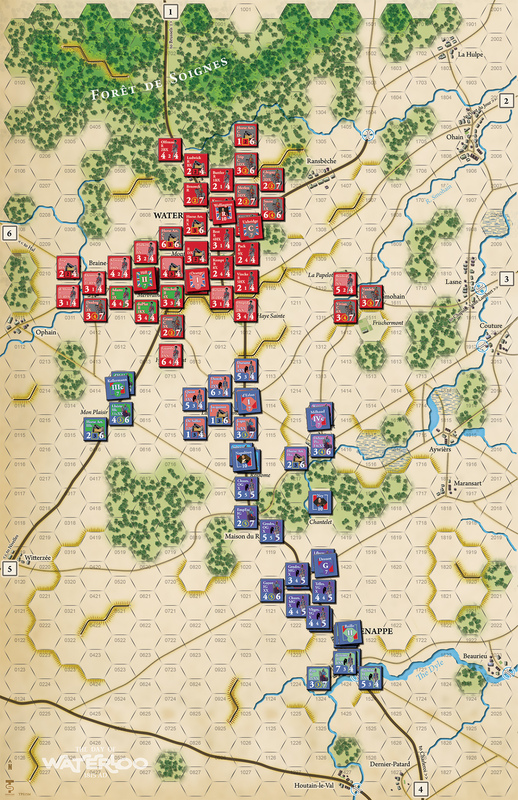 The game offers a historical set-up scenario plus variants for both set up and reinforcements. With the variants, it’s possible that Grouchy may fully live up to Napoleon's order to pursue the Prussians and fatally delay their appearance on the battlefield! That means straightforward rules, key insights into the history behind the game, and designs aimed at one-session conclusions and high replay value. About the Designer: Ed Wimble is best known for being at the helm of Clash of Arms Games and an inducted member of the Wargaming Hall of Fame. He has written and designed numerous articles and games on the American Revolution and the Napoleonic eras. However he also has a part time gig as a Step-on guide at Valley Forge National Historical Park. He lives just outside the bounds of the park with his wife, a dog and a parrot.